Hi. I just stumbled on to this blog. I am the wife of the guy who got his head shaved!!! I wanted everyone to know that this event was such a blast to be involved in. Justin was just great to be around. We had alot of laughs that day and we think he enjoyed all of it as much we did. 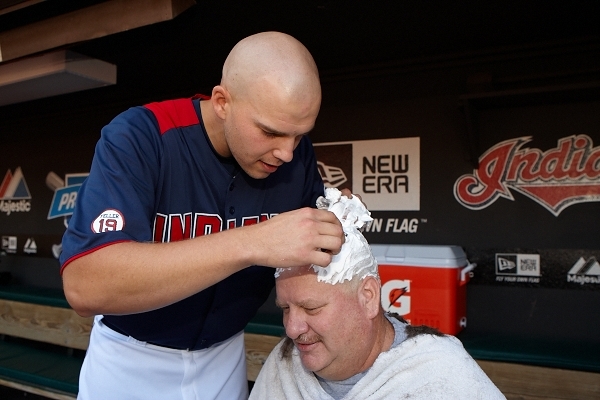 Also, everyone in the Indians organization that we came in contact with could not have been nicer (thank you Nate). We had so much fun and I think this would be a great auction item for future events.